Looking after ventilated patients with tracheostomies at home is like flying a plane, you can only do it with skill and expertise! In today’s blog I want to focus once again on the quality aspect when it comes to looking after long-term ventilated adults and children with tracheostomies at home. After having worked in Intensive Care for 20 years, I have an appreciation of how much training doctors and nurses need to go through and complete before they can master their skill and their profession. Looking after ventilated Patients in intensive care with a breathing tube or tracheostomy is a skill that can’t be learned or even mastered overnight and it takes theoretical learning a well as many hours in practice to perform this skill safely and competently. In fact, it’s a bit like flying an airplane. You only want an experienced pilot do it in order to fly you safely from A to B. Pilots and their crew go through lengthy and sophisticated checklists before they depart the airplane and pilots have done years of training and many hours of flying airplanes under supervision before they can fly an airplane independently. Airlines train their pilots to manage emergencies and know what to do if there are any unforeseen circumstances and turbulences. You wouldn’t ask the steward or the stewardess to land the plane safely in case an engine breaks down or would you? You wouldn’t just pick people off the street and ask them to fly an airplane without any training or would you? Looking after ventilated Patients takes years of practice and highly specialised training! It’s very similar to looking after ventilated Patients with breathing tubes or tracheostomies. You wouldn’t just pick people off the street and ask them to look after a Patient on life support or would you? Hospitals, Intensive Care Units as well as our organisation INTENSIVE CARE AT HOME doesn’t just pick people off the street to look after highly vulnerable Patients on life support with ventilation and tracheostomies, because it takes many years of highly specialised training and many years of practice in order to be competent! That’s what looking after ventilated adults or children with tracheostomies is. Those highly vulnerable Patients are on life support and thankfully it can be done at home now safely with the right support structure, accreditation and highly skilled and highly qualified staff. Remember, the pilot that has years of training and experience, can land the plane safely in an emergency! That’s what highly specialised, highly skilled and highly experienced doctors and nurses do when it comes to ventilated adults and children with tracheostomies. They can manage, troubleshoot, prevent and therefore get a Patient safely from A to B and they can also manage the emergencies which inevitably come up and therefore keep Patients safe at all times! It still boggles my mind that some organisations offer to look after ventilated Patients with tracheostomies with unqualified staff such as support workers or Registered Nurses that never worked in ICU/PICU. That’s like flying an airplane without a pilot. A crash is waiting to happen and we have seen it in practice. It boggles my mind how some organisations can take a ventilated adult or child with tracheostomy home with untrained and unskilled staff, basically letting them perform tasks that could kill a Patient because they are on life support. In a hospital, ventilated adults and children with tracheostomies need to be in specialist areas such as ICU/PICU or at least on specialised ventilation weaning units where the skills of an ICU/PICU nurse are available and where ventilator competent medical staff can oversee the care being delivered against best practice standards. Again, it takes many years of Intensive Care training to become competent and highly skilled to safely look after ventilated and tracheostomised adults and children, just like flying an airplane takes years of practice and training! 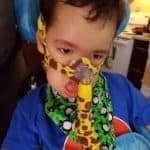 In order to make a smooth transition from Intensive Care to a home care environment for ventilated adults and children with tracheostomies, one also needs to make sure that the skills and expertise needed in a home care environment are readily available. It is important that quality standards remain very high and on a similar level compared to hospital intensive care in order to get ventilated Patients with tracheostomies home safely and eliminate the need for a burdensome and expensive stay in Intensive Care. 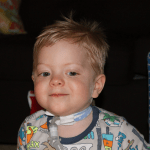 So what are the quality standards needed at home for ventilated adults and children with tracheostomies? The quality standards needed are very similar to Intensive Care and are therefore a “no-brainer”. The guidelines are a result or best practice and evidence based practice after having provided intensive care at home nursing services for over 20 years in Germany. Because our model of INTENSIVE CARE AT HOME is a model based on the successful German model, we exclusively work with critical care registered nurses who have a minimum of two years ICU/PICU experience in order to meet our clients safety and quality standards. 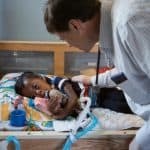 In fact we are currently employing hundreds of years ICU/PICU nursing experience in order to make smooth transitions from ICU/PICU to home for our ventilated clients with tracheostomies. In the USA, many Patients go from ICU to LTAC (long-term acute care facilities) only to end up in facilities that are not geared to look after ventilated Patients with tracheostomies! LTAC’s work with unqualified RN’s that have no ventilator experience and we have literally people begging us to help them get their loved ones out of LTAC and home with our service. It’s another sign that looking after ventilated Patients with tracheostomies needs the skills of ICU/PICU nurses and doctors! Anybody who is looking after ventilated adults and children at home needs to have similar rigorous quality standards than hospitals and ICU’s/PICU’s have. Anything less is like flying the airplane without a pilot. Therefore, we go through annual accreditation and therefore our service is open to transparent screening by a third party in order to maintain our high quality standards. 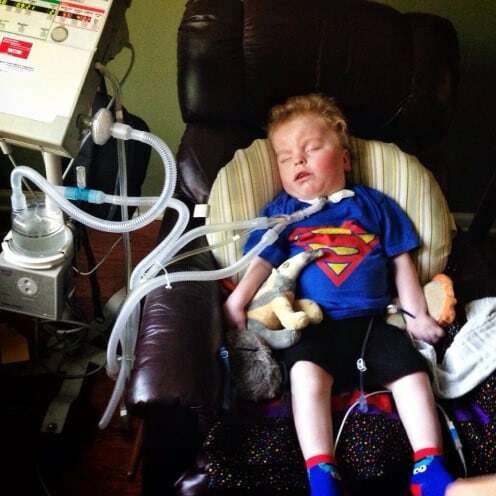 We have built years and decades of intellectual property when it comes to the delivery of INTENSIVE CARE AT HOME nursing services, including but not limited to ventilated adults and children with tracheostomies!